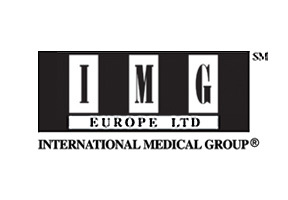 The International Medical Group, or IMG, is dedicated to understanding and meeting the needs of expatriates all over the world. By focusing on international health insurance plans for individuals, families, groups, and companies, International Medical Group (IMG) is determined to offer you the coverage levels that you need. By delivering superior services in conjunction with flexible and comprehensive insurance policies, International Medical Group (IMG) ensures that you will always have the protection that you need, no matter where in the world you may be located. IMG has policyholders in over 150 countries around the world, and has the global knowledge to help you maintain your policy on a local level by interacting with healthcare specialists and medical facilities in your location. Having on-site medical specialists and a superior claim handling process means that when you have an IMG policy you are always assured of receiving the specific, tailored solutions that you need. IMG is partnered with Sirius Underwriters, one of the top insurance organizations in the world. Sirius has been rated by Standard and Poors as A-, meaning that they have the financial stability and professional experience to give you the insurance plans and services that you deserve. With professional staff, dedication to detail, and policies that meet the demands of the modern world, IMG is able to afford you simple and effective solutions for all of your insurance needs. At Globalsurance we are insurance advisors. This means that we will work to further the interests of our clients and not those of the insurance companies. What this means for you is that we will always work to ensure that you have the best plan available. By working with some of the biggest insurance companies in the world we have access to a multitude of plans and will always find you the perfect policy. Our relationship with many insurance companies allows us to provide our clients with the lowest possible premiums. In addition to this you will never have to pay more when working with us.